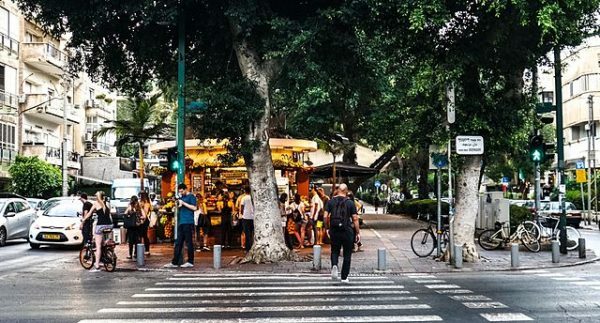 Tel Aviv, a cosmopolitan, fun-loving Mediterranean city, has discovered something new but old — cycling. 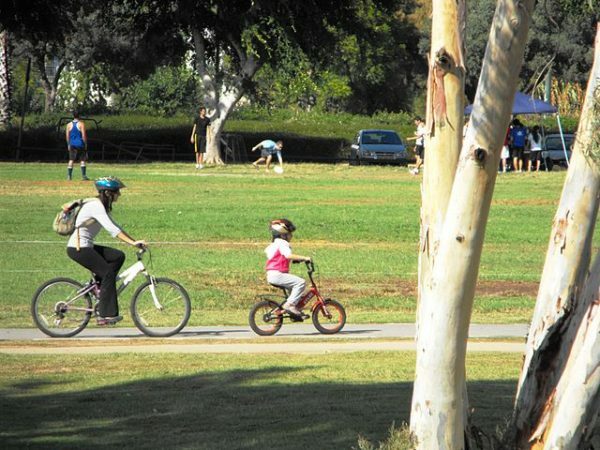 In the past decade, cycling has become all the rage among Tel Avivians. The increasing popularity of cycling here coincides with the introduction of a bike rental program launched by the municipality in 2011. Cycling is now regarded as chic, but this was definitely not the case a few decades ago, when very few cyclists were seen in Tel Aviv, or anywhere else in Israel for that matter. In 1971, when I lived on a kibbutz near the coastal plain, I borrowed a decrepit, gearless bicycle from a kibbutznik. Before I set off for the seaside town of Netanya, 12 kilometres away, he warned me about the hazards of cycling in this part of the world. Unaccustomed to cyclists and assuming they owned the road, motorists who zoomed by me treated me like a pest, driving too closely or rudely honking their horns. At that time, there was no cycling culture in Israel, though there should have been, given the fact that so many Israelis were originally from Europe, where the eco-friendly bicycle is widely respected as a legitimate and cheap form of transportation. As a result of the unpleasantness to which I was subjected en route to Netanya, I did not try cycling when I visited Israel again several years later. But on my last trip, I changed my mind after watching a pack of cyclists happily pedalling on the old Tel Aviv to Netanya highway. Eager to explore Tel Aviv from an entirely new perspective, I borrowed a bike and set off. 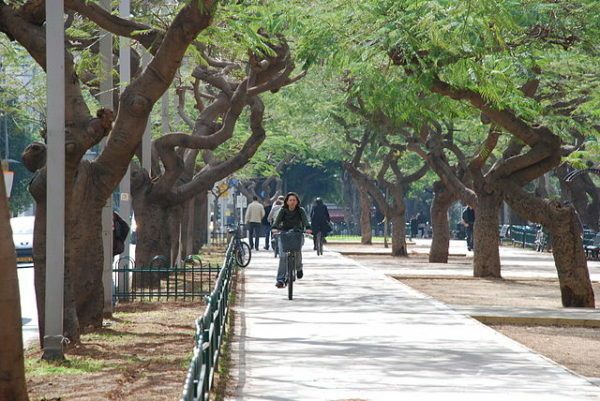 Starting near the centrally located Habimah Theatre, I cycled to Rothschild Boulevard, one of the city’s stateliest streets. Cruising by luxury condo buildings and cozy cafes, I passed at least ten cyclists. I turned into hip Sheinkin Street, traversing hole-in-the wall groceries, an assortment of shops, elegant boutiques, restaurants with sidewalk patios and European-style cafes. Veering into an adjacent street sloping narrowly toward the shimmering sea, I leisurely rode past low-rise apartment buildings, all painted in shades of creamy white and partially hidden by lush hedges and trees. Soon I reached Eliezer Zamenhoff Street, which is named after the founder of Esperento, an international language which never quite caught fire. I crossed Dizengoff Street, which commemorates Meir Dizengoff, the first mayor of Tel Aviv. 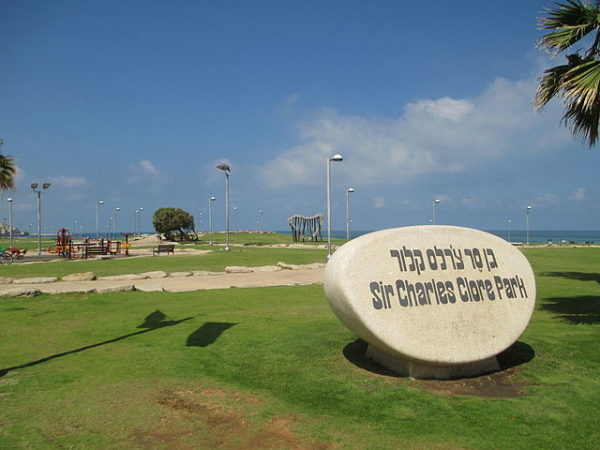 King George, named after a British king, led to Bograshov and then to Herbert Samuel, which abuts the Mediterranean and honors the first British high commissioner in Mandate Palestine. Cycling along Herbert Samuel, I passed Mike’s Place — a jazz cafe that was targeted by a Pakistani British suicide bomber during the second Palestinian uprising — and the stolid American embassy. I stopped at the Carmel market and the Hassan Bek mosque. 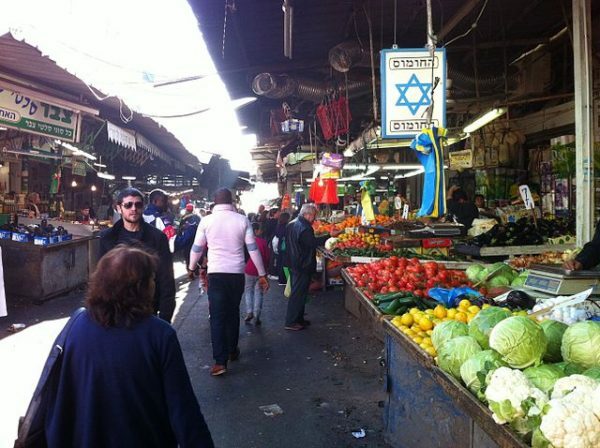 The outdoor market is colorful and vibrant, its vocal hawkers selling fruits, vegetables, olives, pickles, cheese, bread, pastry, flowers, textiles and household goods. The limestone mosque, built in 1916, is a fine example of Ottoman Turkish architecture. Heavily damaged during the 1948 Arab-Israeli war, it lay derelict for decades until it was renovated. Today, it serves the Muslim community in nearby Jaffa. Next, I cycled to HaTachana, a late 19th century Ottoman Turkish railway station that was lovingly transformed into an alluring tourist attraction with shops, cafes and restaurants. I walked my bike across a busy road to Sir Charles Clore Park, hard by the crashing waves of the sea. Pausing under a graceful palm tree, I saw Muslim women in the distance. Clad in black flowing robes, they frolicked in the foamy sea. 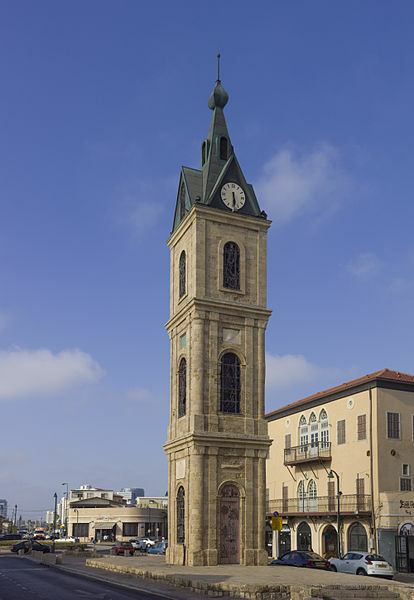 Having reached Yefet Street in Jaffa, I stopped at two historic relics: the clock tower, built for the silver jubilee of Ottoman sultan Abdel Hamid II, and the facade of Saraya House, the residence of the Ottoman governor of Palestine. Famished by now, I bought a pita sandwich, coated with melted cheese and sprinkled with aromatic herbs, at the Abulafia bakery, which has been in business since 1879. Around the corner was the flea market, which has been gentrified, and the marina, which is very atmospheric. 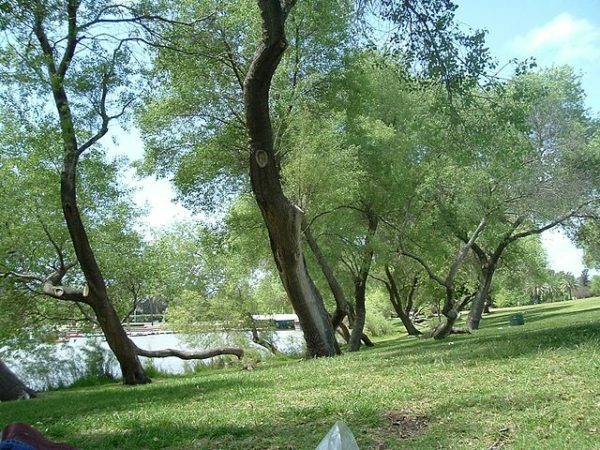 On another day, I cycled to Yarkon Park, a peaceful oasis bisected by the sluggish Yarkon River. Once heavily polluted, it has been cleaned up in recent years. After riding around aimlessly and admiring the scenery, I sat on a bench under a eucalyptus tree, watching passersby and cyclists and reading. It was a blissful experience, enhanced by a pleasurable bike ride. It would appear that cycling in Tel Aviv is no longer just for oddballs.